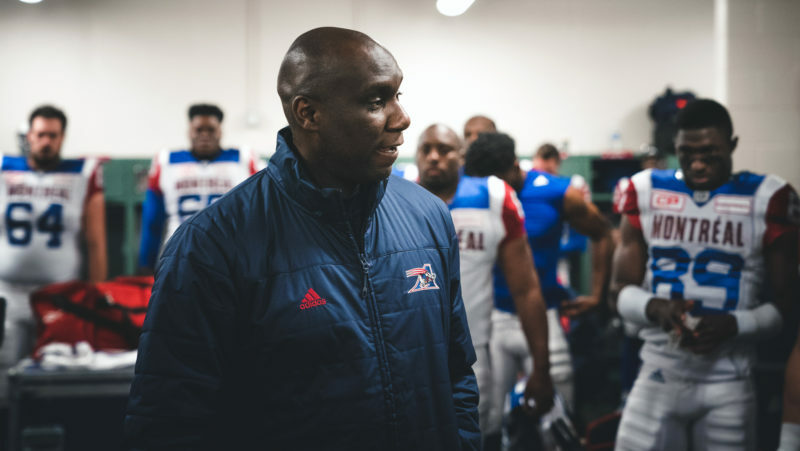 With a modest two-win improvement — and a coaching staff and front office returning mostly intact — the Montreal Alouettes appear to have laid a foundation. The question now is how do they build on it? 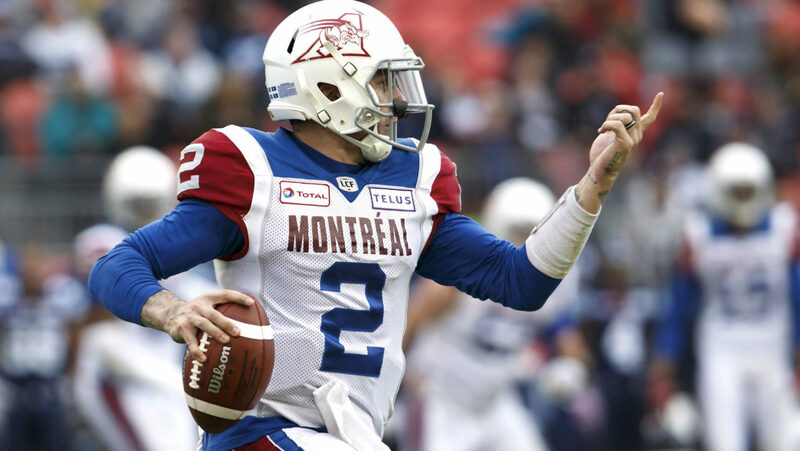 This season couldn’t have started worse for the Als, who stumbled to a 1-8 opening while giving up two first round picks for quarterback Johnny Manziel. We all know how that went, with Manziel throwing four picks in his debut, eventually getting injured and losing his job to Antonio Pipkin. Still, there was no quit in the Alouettes. They responded with steady progress throughout the second half of the season, compiling a 4-5 record with three of their losses coming by fewer than seven points. Pipkin, just 23 years old, emerged as a possible future starter, while Manziel returned and showed significant improvement from game to game. A five-win season is not the bar General Manager Kavis Reed looked to set, but with young emerging stars in William Stanback, Branden Dozier and Eugene Lewis, along with the continued development of their young quarterbacks, there’s at least reason for cautious optimism in la belle province. Reed is getting the chance to see his vision through, brought back for a third off-season as the head man in Montreal. The first-time GM has no doubt put his mark on the team, rebuilding several aging position groups including the defensive backfield and the offensive line, the latter of which will surely be a priority come free agency. In the end, and not surprisingly, Reed’s success or failure will be defined by the quarterback position. He’s got a lot riding on the Manziel trade, which, combined with the supplemental pick of Tyler Johnstone last spring, leaves the Alouettes without a first round pick in each of the next three drafts. 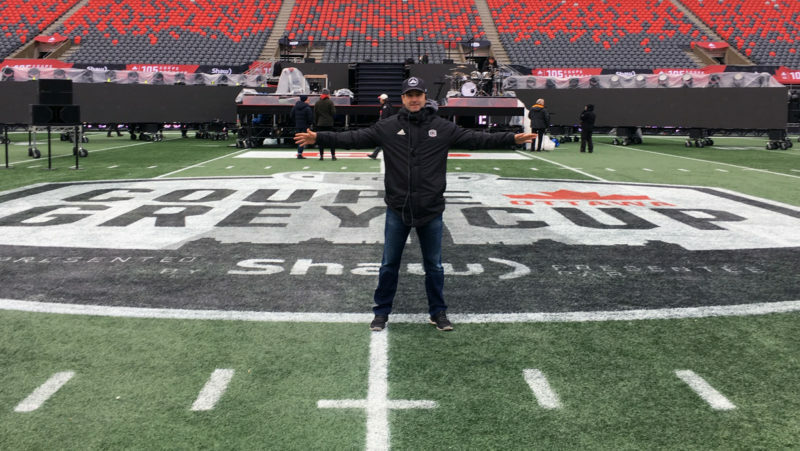 If one of Manziel or Pipkin can take the next step and become a regular qualified starting quarterback in the CFL, the Alouettes have the talent to surprise people as early as 2019. Either way, this will be a defining off-season for the Alouettes’ front office. Inexperienced hires from south of the border have often backfired. That wasn’t the case for Mike Sherman, who didn’t look out of place in his first season in the CFL. There were plenty of challenges along the way, but Sherman showed a strong understanding of the game for a first-time coach. Meanwhile, his players responded to him, bouncing back from difficult losses and showing consistent improvement throughout the season. Having some continuity on the coaching staff appears to be a win in Montreal. One of the biggest questions this off-season outside of Sherman will be at defensive coordinator. The team never intended to have Rich Stubler manning the defence, but the sudden departure of Kahlil Carter threw a wrench in things. Like most teams, the Alouettes have a long list of pending free agents, but the two that stand out are international receivers Eugene Lewis and BJ Cunningham. Cunningham is a proven 1,000-yard receiver in the league despite a revolving door at quarterback, while Lewis is just 25 years old and has shown star potential. Defensive end John Bowman is expected to retire, while the Als could get younger at receiver if they choose to let Adarius Bowman and/or Ernest Jackson walk. T.J. Heath and Joe Burnett are experienced veterans that would shore up a defensive backfield that got better as the season progressed. Defensive back Tevaughn Campbell and offensive lineman and Philippe Gagnon are key Canadians the team would likely prefer to have back on the roster next season. Both are capable starters at their respective positions. The Alouettes paid the price to get Henoc Muamba last season, but the middle linebacker proved to be worth it, setting career-highs in tackles (108) and sacks (5). Muamba is a defensive anchor and a ratio-breaker and should be a key part of the team’s plans moving forward. After trading Philip Blake, the Alouettes need both Tyler Johnstone and Trey Rutherford to become starters next season. Rutherford was the team’s second overall pick last year, while Johnstone came in the supplemental draft at the cost of the second overall pick, which the Als are forced to relinquish. Kavis Reed has entirely revamped his O-line and it starts with those young pillars. Jabar Westerman anchors the front of the Als’ defence, while Dondre Wright and pending free agent Tevaughn Campbell are also potential starters with a Canadian passport. As of now, Malcolm Carter is the only returning national at receiver, though George Johnson and Josh Stanford should also be in the team’s plans. With Chris Ackie and Jamaal Westerman both traded in-season, a young, mostly-Canadian O-line will be key to balancing the ratio, especially if the Als can bring back pending free agent Philippe Gagnon. Despite his late-season progress, Johnny Manziel won’t be handed the starting quarterback job next season — he’ll have to win it. Perhaps the Als are worried about his level of investment with the league from a long-term outlook. Antonio Pipkin showed flashes last season, winning two of his first three starts while showing off a big arm and the ability to do damage with his legs. However, his 59 per cent completion rate and 3:8 touchdown to interception ratio present some cause for concern. Vernon Adams Jr., Jeff Mathews and Matthew Shiltz have all shown varying degrees of potential, making for a busy training camp coming up next spring. 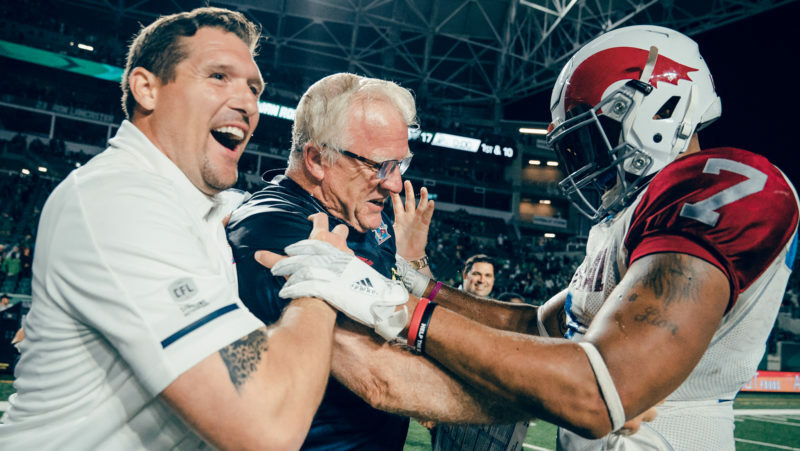 Whatever happens, Mike Sherman needs to be decisive with the position moving forward — the Alouettes need their quarterback of the future sooner rather than later. The biggest reason for optimism out of Montreal might just be William Stanback. The 24-year-old has future star written all over him, averaging 6.7 yards per carry while combining for 847 yards rushing and receiving in his first season in the league. Stanback offers a unique blend of size and speed, while his emergence led to the departure of Tyrell Sutton via trade. After leaning on veterans Ernest Jackson and Adarius Bowman throughout most of 2018, the Alouettes may look to get younger at the position this off-season. Whatever the case, B.J. Cunningham and Eugene Lewis need to be back. 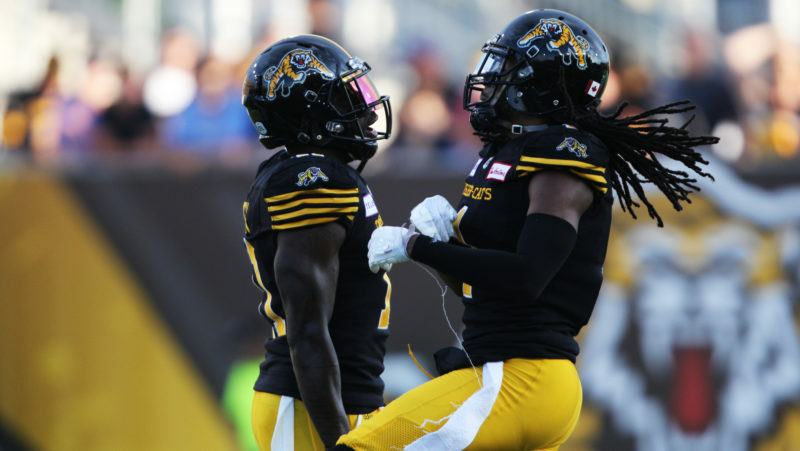 Cunningham is one of the CFL’s more underrated pass-catchers while Lewis has demonstrated a high level of athleticism. The receiver position will be a high priority for Kavis Reed this off-season. That means scouting young and unproven talent, but also considering some of the many pending free agent options that have CFL experience and can get separation. The Alouettes’ rebuild up front was punctuated with the Philip Blake trade back in October. 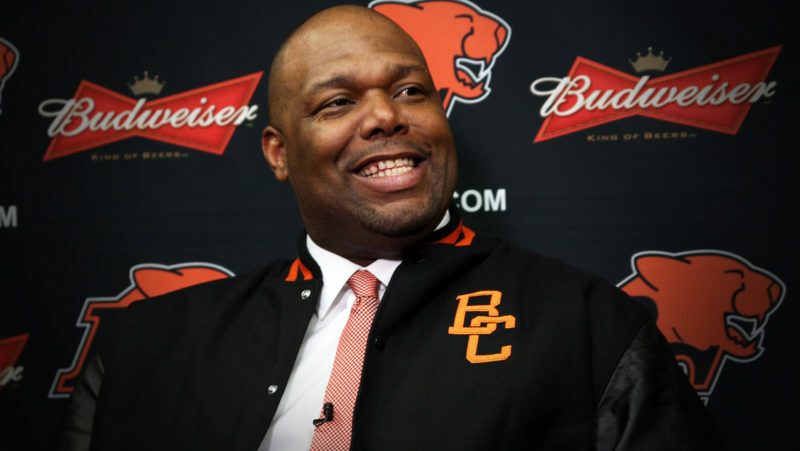 Suddenly, one of the league’s most aging units will be one of the CFL’s youngest. Last season was a struggle for this group, which often failed to keep quarterbacks Johnny Manziel and Antonio Pipkin protected. Signing Kristian Matte to a contract extension starts the off-season off on the right foot. But can Tyler Johnstone and Trey Rutherford become full-time starters next season? And will pending free agent Philippe Gagnon return? This, along with the receiving corps, will be a position of priority in the coming months. 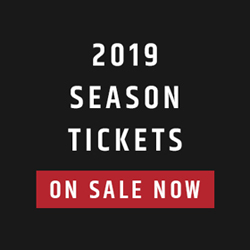 The Als are set in the middle, with Jabar Westerman, Fabion Foote and Woody Baron anchoring a defensive line that did the job in 2018. On the outside there are questions, especially with Gabriel Knapton pending free agency and John Bowman set to retire. Returning national Bo Banner could be in the mix to start at defensive end. He’s a pure pass-rushing defensive end who could do damage if allowed to pin his ears back and chase opposing quarterbacks, much like Kwaku Boateng in Edmonton. Glenn Love came in to play special teams late last year, but could be in for a starting role following the departure of Chris Ackie. There are also questions in Chip Cox’s spot depending on whether he decides to return for a 14th season. One spot that’s definitely sewn up is Henoc Muamba’s middle linebacker position. Muamba is a true ratio-breaker at the position and is the heart of the Alouettes’ defence going into 2019. Tommie Campbell and Branden Dozier are two of the better players at their position league-wide, and are locks to start in 2019. Outside of that there are questions in the Als’ secondary, starting with pending free agents T.J. Heath and Tevaughn Campbell. Campbell returned to the team and looked solid down the stretch last year, and offers ratio flexibility if he returns. Heath is a pending free agent. An outlier is Mitchell White, who’s working his way back from a season-ending injury. If he can return healthy, the Als will have options on that part of the field.